GUILD LEVELING & SEASON-END PAYOUTS! Playing with your guild in Autumn Season 2015 just became a lot more important. By playing together with guildmates, you’ll level up your guild, unlock amazing crests and earn bigger and bigger end-of-season rewards. 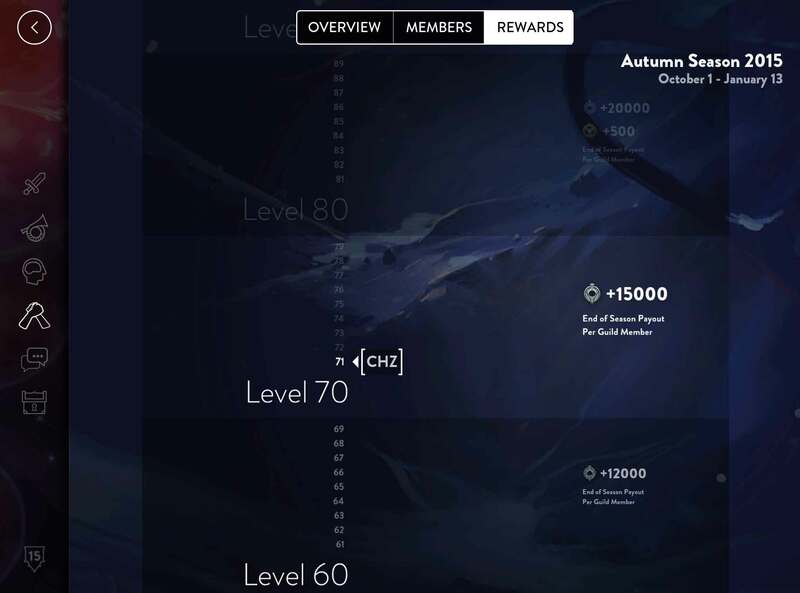 Check out the new REWARDS section and view the ladder of potential payouts. 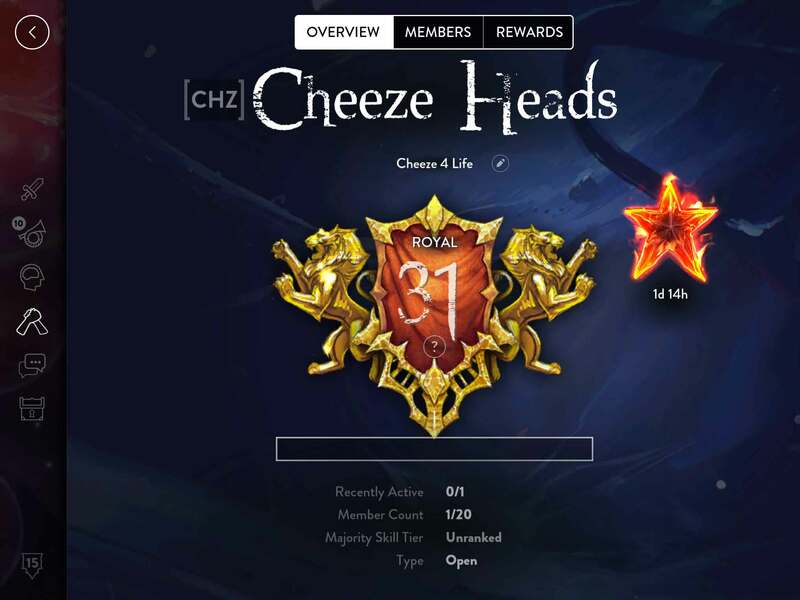 Then, grab at least one other guild member (yeah, that got easier), rep your guild, earn Fame XP and climb your way to huge Glory and ICE bonuses! All rewards pay out at the end of the season, so you’ll know exactly how much time you have to band together for that next reward tier. For the most active guild members, we made a special treat just for you! Each time a guild fills its Fame XP bar and levels up, the entire guild gets to see and celebrate which three players achieved the milestone. Level up your guild to unlock escalating rewards at season’s end! 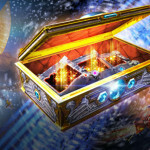 View all season-­end payouts on a new guild ladder in the REWARDS section. Every 10 guild levels, you’ll rank up into a new guild tier and unlock a new guild crest. Two guild members can now queue without a full party to earn guild Fame XP. Guild leveling is significantly easier than in 1.9! In fact, your guild has been retroactively granted more levels. Go look! Invite and Friends lists now display both players’ team tag and their guild tag. Perfect for guilds with active members wanting to earn Fame XP faster! For a guild to truly thrive and progress into bigger rewards, it takes participation from nearly all the guild’s members. So, to incentivize participation and dedication, we’re introducing Guild Heat. This is essentially a bonus enabling guilds with lots of member activity to earn Fame XP faster. As member activity increases, the guild will be “warming up.” As the vast majority plays matches, your guild will be “on fire” and those guild levels and rewards will come significantly faster. New Guild Heat feature tracks member activity and rewards members with bonus guild Fame XP! WARMING UP: If 60% of members have played a guild match in the past 48 hours, members gain a 10% Fame XP bonus from guild matches. ON FIRE: If 85% of members have played a guild match in the past 48 hours, members gain a 25% Fame XP bonus from guild matches. Guild Heat will show up after your guild’s first match in 1.10. Decide during 1.9 that you’d rather have an invite-only guild … or that your guild motto was cheesier than you first thought? Now the guild captain can make easy in-game adjustments. Edit your guild type (open or invite only) and your guild motto in-­game. Rather than contacting Super Evil support, you can now change your player name in-game. If you’re not happy with how your name is displayed, change it in your profile. 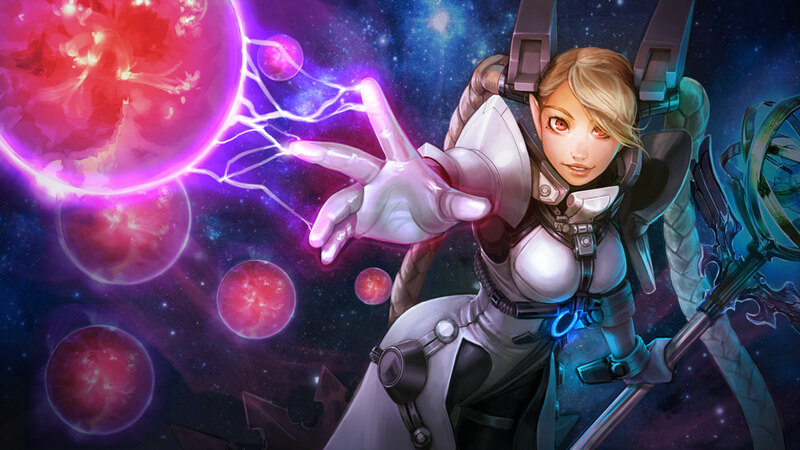 Update 1.10 introduces the long-awaited skin theme for this popular crystal mage. We know many of you have been saving up ICE for this moment, and it’s finally here! Head to the Market now to get this Tier I skin with ICE, or start collecting Celeste cards today. Read the Star Queen Celeste lore as she wields her royal star staff, commands an army and comes fully into her own power alongside father Ardan and brother Vox. Petal now uses an alternate energy system that represents the number of seed charges she has. This will remove her energy dependency and make the seeds the focal resource for Petal. With this change to munion dependency, it made sense to redesign how munions interact with enemy heroes, lane minions and jungle monsters. Killing Petal’s munions no longer grants experience. Hero basic attacks and direct ability damage each remove 3 ticks of health. Multi-target damage, area-of-effect damage and attack bonuses remove 1 tick of health. Minions and monsters remove 1 tick of health. Damage-over-time effects deal no tick damage. Munions regenerate health when out of combat. Munions will try not to steal last hits when Petal has an Ironguard Contract. Petal’s seeds no longer provide a healing and defensive aura. Petal’s ultimate has been reimagined to make her a better team player, without negating her mage powers. Petal’s munions now heal allies as well as damage and slow enemies when they explode. Cooldown reduced from 90-80-70 to 70. Damage reduced from 215-310-405 + 80% crystal ratio to 180-240-300 +70% crystal ratio. Munions are invincible during the ultimate. Mortal Strikes are no longer crits. They instead add 40 + 25% of bonus weapon damage per strike. This bonus damage can critically strike per normal. Damage down from 75-150-225-300-410 + 120% crystal power to 100-360 + 80% CP. Taka is now immune to debuffs while mid-flip. Taka will now de-stealth if he receives damage within 0.4 seconds of activation (down from 1.0 second). Fixed a bug where executing a perfect basic-attack cooldown reset using Twirling Silver was slower by about 0.2 seconds. Because Serpent Mask’s passive no longer stacks, Red Mist no longer has minus-50% lifesteal during channeling. Red Mist can now be canceled while silenced. Weapon ratio down from 50-55-60-65-75% to 35-40-45-50-60% (1.9.1 Hotfix). Base weapon damage down from 52 – 80 to 34 – 80 (1.9.1 Hotfix). Vox’s last-hit indicator is now accurate. Lifesteal down from 1% to 0.75% per stack. Cooldown increased from 3.0-1.0 seconds to 3.0-1.4. Crystal ratio of the star decreased from 125% to 100%. Crystal ratio of the supernova increased from 175% to 220%. Cooldown changed from 13-13-13-13-12 to 13 at all ranks. Merciless Pursuit stun duration down from 0.8-0.9-1.0-1.1-1.4 to 0.7-0.8-0.9-1.0-1.2. This ability will auto cancel when Reflex Blocked by the target. It will still go on full cooldown. Cooldown for Yummy Catnip Frenzy reduced by 2 seconds from basic attacks (improved from 1 second). Can now only be used on enemy heroes. Phinn’s voice in-game has been updated so that it’s easier to understand what he’s saying! Fortress and allied heroes now gain 10-12-14-16-20% lifesteal upon leaping to your target. No longer grants lifesteal upon triggering (moved to Truth of the Tooth). Reaching max stacks will consume the debuff, so you can reapply the bleeding and attempt to pop it again on the same target. Bounty on wolves reduced from 50 gold to 10. Fixed a bug where the slow was not able to be Reflex Blocked. Fixed a bug where the stun and slow durations were not as long as intended for long-range and “boomerang” sword throws. Clarification: Stun and slow duration is 50% at point blank range, 100% at max range and up to 150% at boomerang range. Damage now also scales with throw distance the same way. Goop deals reduced damage to Kraken, as well as to lane minions. Spitfire will no longer hit multiple heroes if they are exactly on top of each other. New passive: Your next 600-1200 (level 1-12) points of damage has +25% lifesteal; recharges over 40 seconds. Duration on jungle bosses down from 60 to 30 seconds (lane minions still 60). Flare Gun duration reduced from 12 to 5 seconds (to match the visual). When multiple nearby allies with Ironguard Contract qualify to earn bonus gold, only the ally with less total gold will receive any. Turret barrier changed from 300 barrier generated per second (with 600 max) to 200 barrier generated per second (with 800 max). Turret barrier is disabled when minions are in range, not when damage is exchanged with minions. Players are locked for 10 seconds at match start. The shop automatically opens during this window and shopping is the only action you can take until unlocked. Players gain a massive speed boost the first time they leave the spawn platform. The Recommended section of the shop will now suggest tier 1 and tier 2 items, allowing for more nuanced build paths for certain heroes. Ironguard Contract is now the first item recommended on heroes with “roam” as their primary position. Vain crystal now has the same barrier protection as turrets. Large jungle objectives no longer attack summons such as Petal seeds and munions. Adjusted number display to start at 100%. 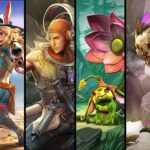 Vainglory now supports Android 4.2 (Jelly Bean), significantly increasing the number of supported devices. Melee minion attacks are now affected by minion defense. Taka’s House of Kamuha perk was triggering on non-perk critical strikes and was granting a move speed bonus. Taka’s attack animation was too slow when his attack wasn’t triggering a Mortal Strike from his perk. Taka’s Kaiten no longer grants him the move speed bonus from his perk. The slow from Krul’s From Hell’s Heart is now Reflex Blockable. Skaarf’s Spitfire no longer hits multiple heroes if they are exactly on top of one another. Vox had a faster default attack animation than intended (1.9.1 hotfix change). Ringo’s attack reset with Twirling Silver is no longer slightly delayed. Too many Scout Traps on the map will no longer cause game disconnects. While there’s no new hero in this update, the next hero is getting close! 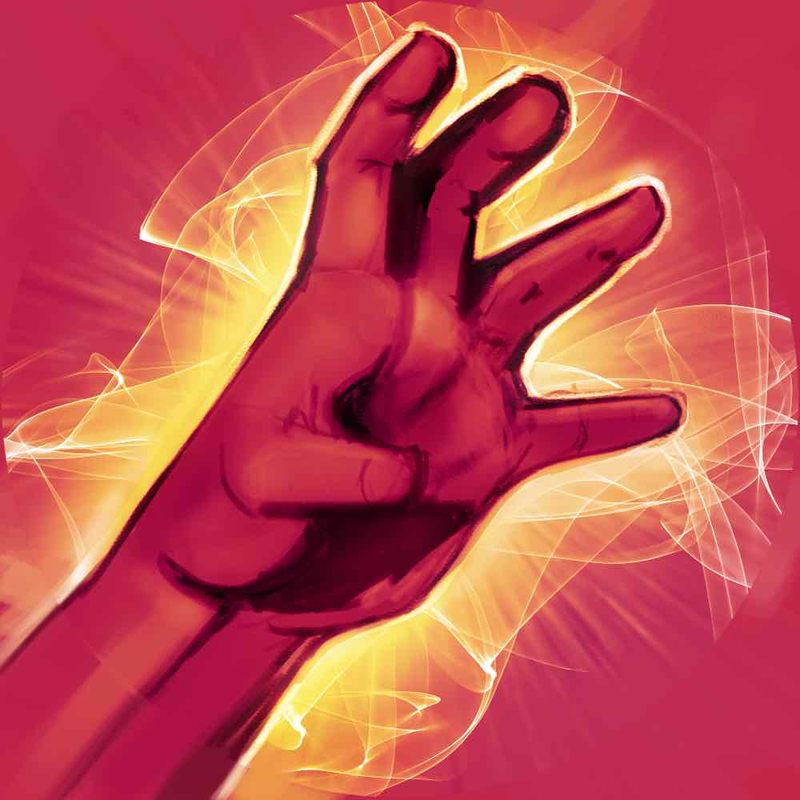 Read the Blackfeather Sneak Peek now for look at what this assassin’s abilities might be. Plus, get the inside scoop from Blackfeather’s lead designer, see Blackfeather’s splash art and read all the lore to date. Free Hero Rotation (February 14): Try Flicker, Gwen, Blackfeather & More! New ICE Box: Killa-Joule 9000 – ALL CADETS TO BUNKERS!